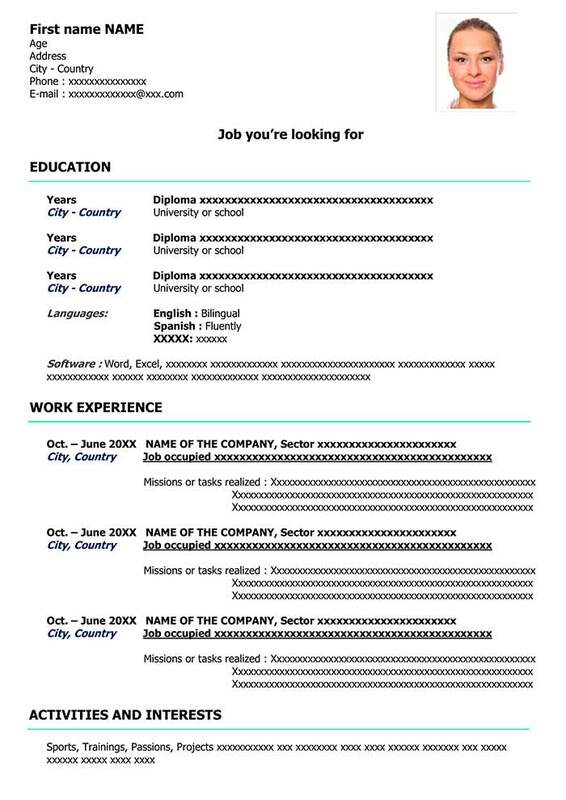 All the resume examples you will find on our website are downloadable for free in Word format. 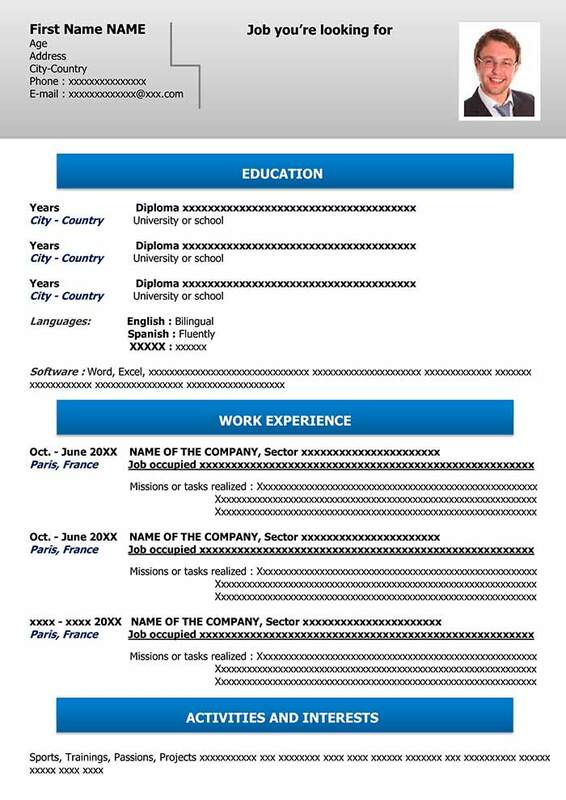 You can then modify and complete these curriculum vitae examples as you like. 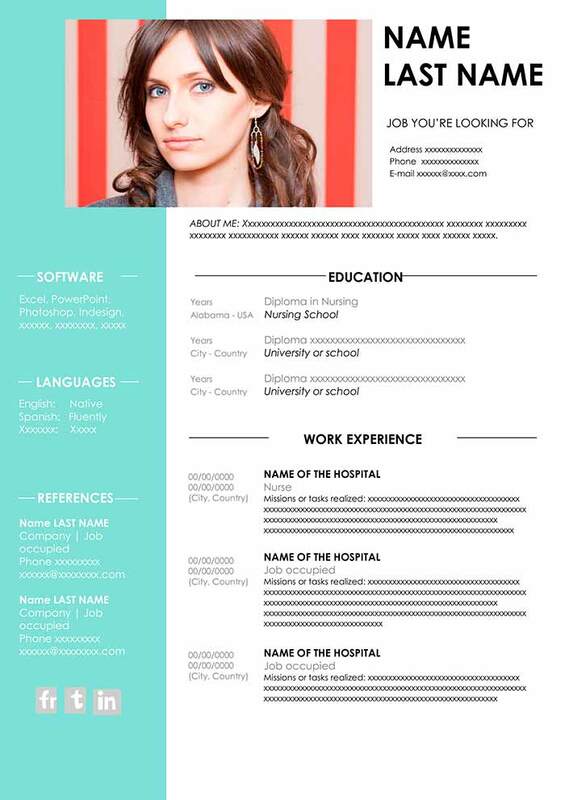 Just choose the CV example that fits your needs best, download it (for free), and fill it out as you like. 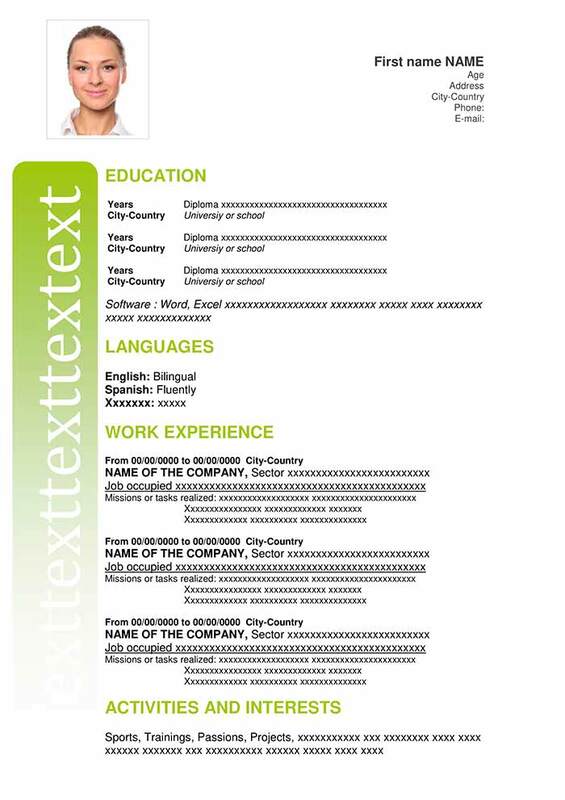 Each example of a resume can be downloaded in the latest Word format. This way you will have no compatibility problems with your version of Word. Create a good resume is a crucial step in your job search. Your resume is the first form of contact between you and the recruiter. Because of this, it is important to take care in the presentation and content of your resume in order to make an excellent first impression and increase your chances. A recruiter will spend an average of 15 to 20 seconds on each resume before making an initial selection. 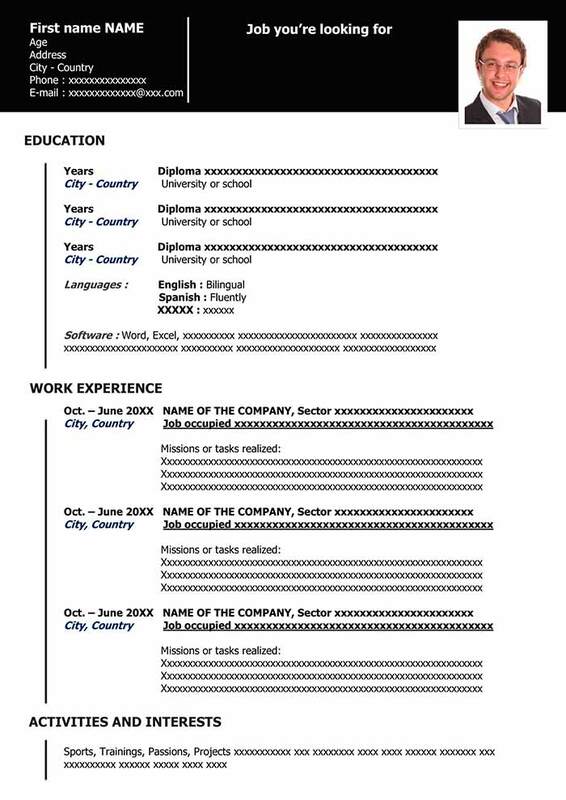 What key information should your Curriculum Vitae (resume) contain? Once you have downloaded one of our resume examples, you will need to fill it out and personalize it as you wish. In each example of a resume, you will find the sections “Training,” “Professional Experience,” “Area of Interest,” and “Skills,” which you may then delete or modify if any of them are not relevant. Be strategic in choosing the content of your resume, according to the position you are seeking and the company you wish to work for. Once you have obtained an interview, your resume will fade into the background. Your charisma and personality will have to do the rest. 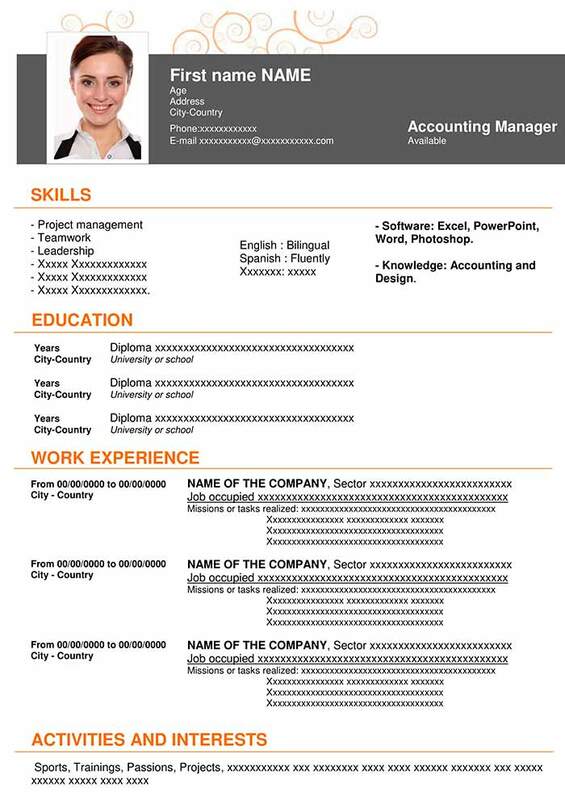 You should consider your curriculum vitae as an identity card. Don’t try to lie or pass yourself off as someone you are not. This will always catch up with you. My-resume-templates.com offers you a wide variety of good cv examples in Word format to download for free and fill out. 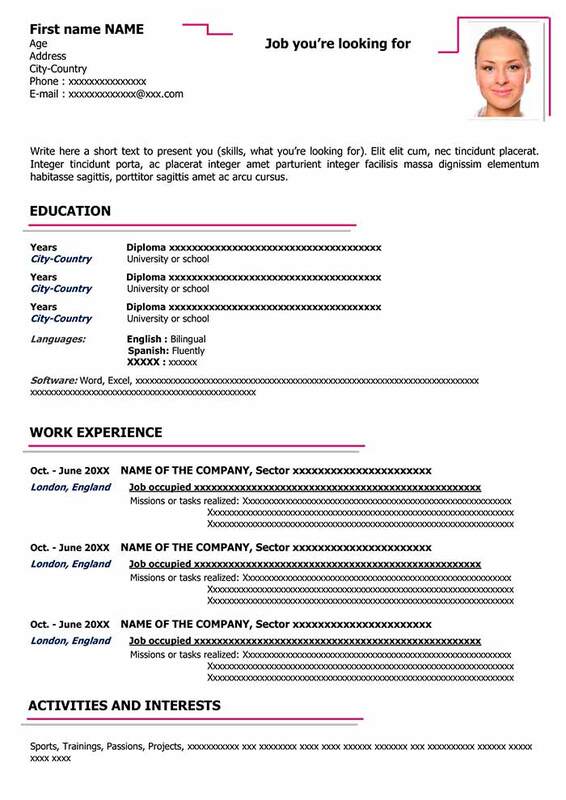 You are free to choose whichever resume example you would like.